Please watch the video, then view the information below for pricing and specifics about the deck. I am so honored to present these powerful Oracle and Activator cards to the world. The intentions behind this deck are to help you build and expand your own psychic muscle, to discover and cultivate a relationship with your higher self, and to strengthen your connection to high frequency guidance from Spiritual Guides, Angels, Fairies & Elementals, and Star Family. The more you work with this deck, the stronger all of these will become. The artwork I create is innately filled with light, carry special codes and activations, and is meant to evoke, awaken, inspire, and ultimately transform. So, it is quite common for people to have profound emotional responses, or strongly resonate with and have spontaneous inspirations from certain cards in the deck. The cards are indeed multi-dimensional tools for Oracle Readings, AND as Activators, but it is my wish that you use your own intuitive guidance on how these cards can be used for your highest good. I’d love to hear about your own unique and creative use for these special cards! Experience The Most Unique Cards on the Market! Awaken your intuition and receive guidance and wisdom from the Angelic, Elemental and Faerie, and Galactic realms. 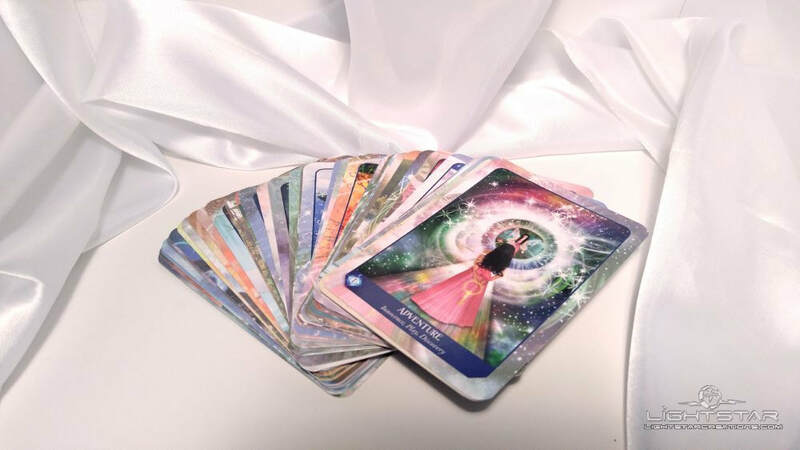 As you connect with high-frequency dimensions of light, sacred color, and radiance from these 44 highly accurate and magically infused activation and oracle cards, they will expand with energies unlike any other deck you’ve experienced. Interacting with these cards will help strengthen your intuition and psychic senses, cultivate clarity, and inspire self-empowerment. Seven vibrant Chakra cards are included as a tangible, intuitive-strengthening tool intended for self-transformation, self-illumination, and self-healing. These enchanting cards are perfect for personal intuitive guidance, client readings, energetic activation, or as affirmation cards. ​The super-charged Magical Dimensions Oracle Cards and Activators are filled with high frequencies, in a most unique way. The very special images on these cards are all based upon Lightstar's Attunement Artwork, which emanate light codes and activation. ​The intention of this deck is to serve as an inspirational tool to help you to strengthen your intuitive muscles. Allow your imagination and intuition to play and stretch beyond your comfort zone...and you'll be amazed at the phenomenal shifts you can make for yourself as well as your clients. The cards will help you to shift, awaken, transform, and receive insights into whatever you ask of them. ​NOTE: It is recommended to purchase at least 2 decks if you plan on using these cards for both oracle readings AND activator spreads. That way, you can allow your activators to work for a period of time while still doing oracle card readings on a daily basis. "I recently received The Magical Dimensions Oracle Cards and Activators Deck. After unboxing and enjoying each of the gorgeous 44 cards, I read through the insightful and thorough accompanying book. This set was such a joyful purchase and I absolutely love the artwork and attention to detail in the card descriptions. This is a deck that I truly treasure! Blessings of love, light and gratitude. " "Dear Lightstar, this message is dedicated to conveying my token of appreciation for all that you do and actually, just shining the Light that you are. Your creations are other-worldly and oh so, so beautiful. Last week, I received your Magical Dimensions Oracle Deck and there is nothing like that on the market. It is truly majestic - the energy contained within all you do is truly galactic and extremely high-frequency. I want to thank you for all your work you share with us Lightstar and provide us with the opportunity to enjoy all your creations and work with them. You are doing invaluable work and I am very grateful to have found you." "I saw the Magical Dimensions Oracle Deck and just knew I had to have them! I work with different groups of Elven beings a lot and these cards suit their vibe perfectly! I've been using some of the portal/chakra cards as activators too and by the Gods do they work! The entire deck is filled with light and is so uplifting - definitely the best deck I've ever bought, I can't recommend it highly enough! The artwork is so enchanting and just looking at the cards fills me with energy, they are healing in and of themselves. The book was concise and yet gave enough detail to get the gist of the meaning, plus the oil and crystal recommendations are very useful. I also find the colour ray association to be a boon also." 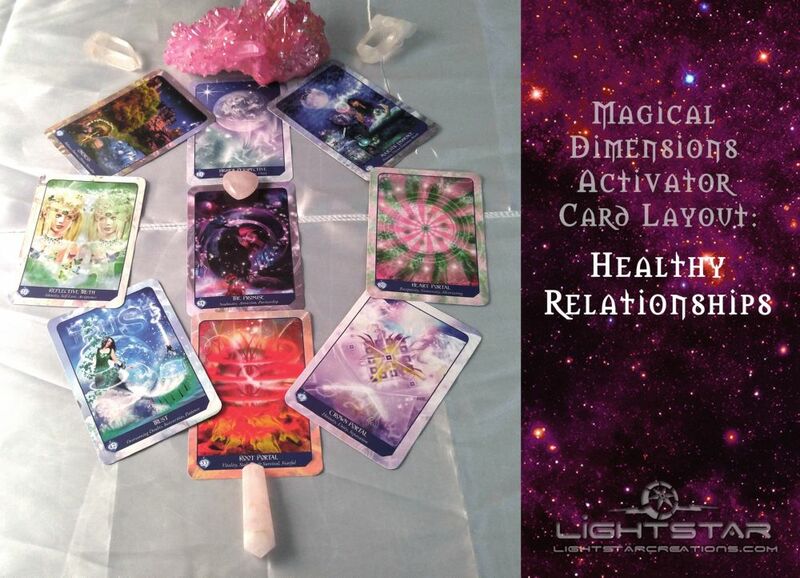 "I just received your beautiful deck today, Magical Dimensions, wow. What a beautiful and powerful deck. I just want to say that when I took the wrapper of the deck and looked at the details in the picture on the box I got a wonderful feeling of finally finding something special, as I opened the box and saw the book I noticed the special code symbol inside the lid, I began to cry, I could not read the book because I was crying, I released the cards and did my blessing on them,touching each card, and still I cried, I have never cried so much over a deck of cards, they make me feel like I have arrived, not just that "I'm home" type of feeling but I'VE ARRIVED! I'm ready for this, I feel empty but in a good way, like I'm waiting to see,hear or feel something new. I'm definitely over the threshold. I want to personally thank you for these beautiful life changing cards, please also give my gratitude to your guides, angels, elementals and galactic family. I have NEVER had such a feeling from a deck of cards ever, and I've had many decks and been reading cards for nearly 40 years. I feel blessed beyond words to use these cards and to begin my journey in the magical dimensions. Thank you! I am going to LOVE LOVE LOVE working with these cards. So excited to begin my journey but I've a feeling I will shed more tears and laughter as I do use them, I can hardly wait. THANK YOU again and again. Love and blessings. " ​"I was actually just looking for fun through the Oracle decks and came across yours. I love it!!! I feel the activations coming through and helping me heal and release. Very accurate!!! I have them next to my bed; I usually pull cards nightly relaxing. Always spot on. So I just needed to share that. Thank you!! I really love them!" "Thank you Ms Lightstar! I have your Magical Dimensions Oracle Cards. I have been so blessed and protected. It has introduced me 2 other beings. And they have always been there!! Working with the Magical Dimensions Oracle Cards, the activators alone when I open the box it was just like Awakening all over again! Thank you I find it hard to describe what I'm experiencing. This has been so much better than anyone could ever put into words." "Wow, what can I say other than it's all life changing stuff. The Magical Dimensions Oracle Deck is the best deck I’ve ever had, and I own a lot of oracle and Tarot decks, and Lightstar’s is now my main deck. Thank you Lightstar. Much love to you." ​​"If you know me, you know I am not a deck person; few decks have called to me. 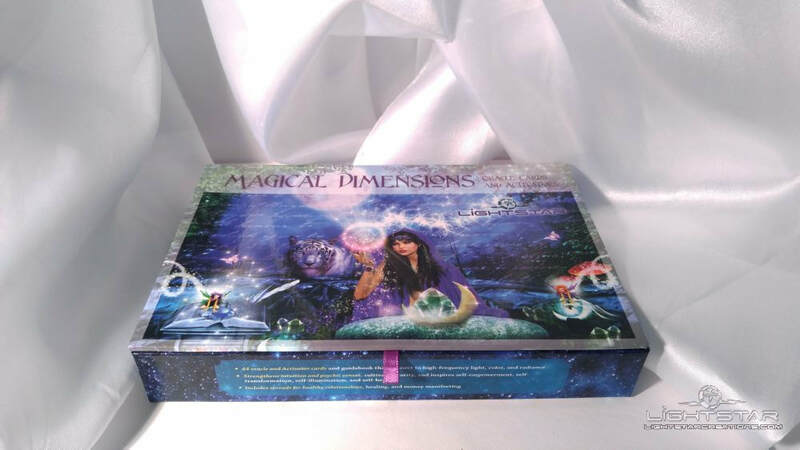 The Magical Dimensions Oracle Cards and Activators deck by Lightstar is not a tarot deck. Yet this deck is SPOT ON ACCURATE, they are incredible at getting to the heart of the matter. They illuminate our inner and outer worlds, offering solutions and deep insights in overcoming obstacles / challenges and gaining the mastery we desire in our lives. They are diverse and amazing energy tools (each card is a gorgeous piece of visionary art, an energy tool on it's own). To boot there is a special cleansing symbol while they are being protectively stored in their beautiful and durable box.... Ingenious, Lightstar, THANK YOU!!!. This is not a review, it's more my "rant" on why I love this deck. I have 3 decks. No joke. One for me and clients (daily card focus/energies and in depth readings for my clients as desired). One deck stays on my altar which is only used for special altar work and meditations. and one solely dedicated to the activation / healing spread layouts that I work with for days, weeks and months. I add crystals along with other vibrational tools to the layouts as the energies dictate. I believe these activation / healing layouts are a unique feature in the Magical Dimensions deck. I loved this deck so much I sent it to my beautiful SiStar in Aussie land for her birthday; she's a professional psychic and tarot reader of 20 years and she absolutely loves this deck as well. This deck is so well suited to the beginner for building intuitive skills, and it has multidimensional applications for the advanced reader as well. You can get your Magellan on, it's a brave new world of discovery. Lightstar invites us to make the deck our own, to experiment with the deck, to find out what it is capable of beyond her original intention on the layouts, activations, etc., for us to discover more uses for this deck. She truly is visionary channel, artist, and gifted healer. Innovation seems to be Lightstar's trademark." “As a student of Jungian Psychology, I am always searching for symbols or signposts of wisdom on my journey that will help me connect directly to what Carl Jung describes as “the Collective Unconscious of Mankind.” It is a realm comprised of “archetypes,” or universal symbols that can be found in every culture and in every civilization where people have lived on our beautiful starship, Mother Earth. I believe we each find ways to commune with this realm, as a source for personal, creative expression. Most oracle decks contain archetypes: symbols of every-day human experiences, the challenges they pose, and the lessons to be harvested in the final outcomes. But this deck is different. It not only gives us dimensions of human experience, but also provides us tools for transcending these experiences in a much higher, or more spiritual way: we can use for guidance the assistance of angels, elementals, galactic family, our own chakras, color rays, and even the corresponding essential oils and crystals that help magnify the message of each card. In other words, there is a wealth of options available to help us integrate the message of each card, and to help us activate the highest possible spiritual outcome inherent in each card. There are many ways to use this deck, yet I clearly see in each effort the opportunity to connect with the Power, Wisdom, and Love of one’s Higher Self. Thank you, Lightstar, for helping us transform our every-day, human dimensions with your transcendental archetypes that are present in each of your 44 cards. Can you feel the magic?!!" 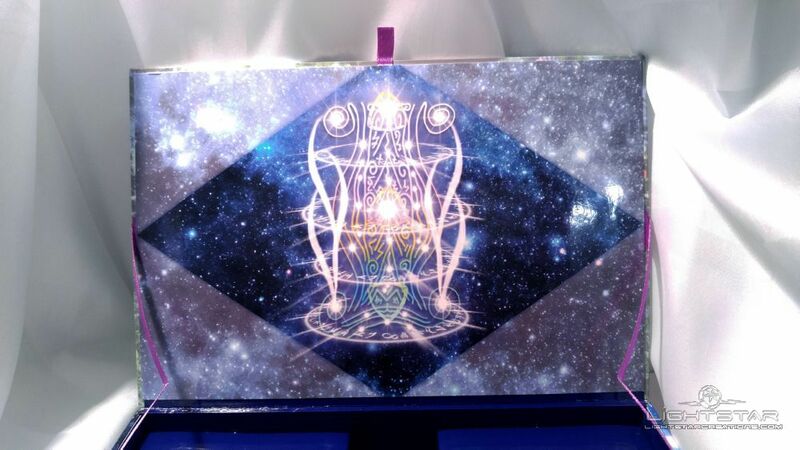 ​"This is the first time that I have seen any of your work, and I have to say that your mystical oracle and activation cards are absolutely beautiful. Thank you for graciously sharing your talented art work. Whilst I was scrolling through the cards it actually looked like sections of the card where actually moving, sparkling and kind of twinkling, the only time I have experienced something even remotely similar was looking at stars on an angel or ascended masters app I use quite regularly. Thank you for you. Love and light and God bless you!" "I love my deck! It has very quickly become my favorite, I don't even reach for my other oracle decks anymore. Hits all the frequencies I am looking for! Thank you for bringing such an awesome creation into the world!" "Lightstar, I absolutely love my Magical Dimensions Oracle cards! When I opened the box, I felt an instant connection. They are right on point with every reading and continue activating and working their magic afterwards. I can't thank you enough for this amazing work you have made available for all of us to enjoy. Sending you lots of love." "What an amazing deck and so vibrant with colors. This is one of my favorite decks thank you so much !! Very happy with my purchase." 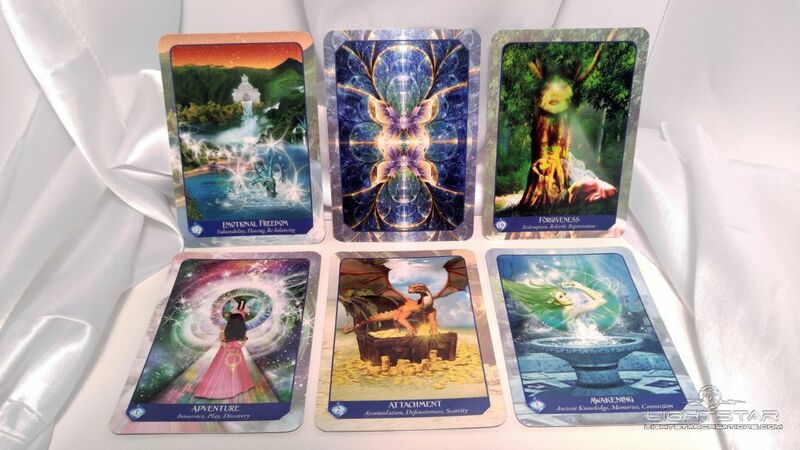 "I received my Magical Dimensions Oracle cards, I recently purchased. I am so thrilled with these cards. They are also activators and the artwork is absolutely captivating. The book has so much juicy information and even the box itself is so amazing and beautiful. I have been following Lightstar online for some time now and have developed such a trust in her guidance. Thank you Lightstar for this beautiful gift you have given us to enjoy. I highly recommend!" "Let me just say your oracle cards are magic! I received them 1 day sooner than the original delivery date. Divine timing… I was feeling lost and disconnected to all after a huge shift from the eclipse. The first card that popped out to me was Ashtar (Galactic Guidance). I had chills from head to toe. I asked him why he has come to me now, and the card I pulled was awakening to your origins. I asked AA Michael to take me to see Ashtar in my dream state. In my dream I was in a hairdressers chair and they said “We will only take off a little.” I felt trust was the message. Then I was shown a white veil. I went to pick up and peals fell everywhere. Veils are being removed now. I went out today and galatic blue was everywhere, and 11's everywhere in the DMV center call numbers. In there absorbing for 2 hours, came home, saw 2 Hawks and 2 turkey vultures side by side, an empty cicada shell on my pine tree, and monarchs all around me. Cobra and other snake’s kundalini awakening the big one. Thank you for sharing your special gift of art as a spiritual catalyst for this special time for me I have waited for this day to connect to my star lineage. Bless you dear sister. This is just 1 and 1/2 days with my cards and they are warm and comforting in my hands too! " ​"I love them. Not only these cards are they awesome to look at but so much more can be done with these cards than just using them as an oracle deck. Which is described in the companion booklet that comes with the cards in awesome detail :) Thank you so very much!!!!! "I connected with these cards right out of the box, which is kind of rare for me. I usually have to get used to a deck before it starts talking to me, but not this deck. The images jumped out at me and the cards felt alive from the first time I handled them. I've only done a few short readings with them, but the messages that have come through have been amazing and right on the money for those concerned. Lovely and powerful deck - I highly recommend it!" "Absolutely love these cards. I have had so much positive feedback, they are right in tune with me, and anyone I do a reading for." "I really like this deck. The art is very nice with vivid colors, and the guidebook includes some neat ideas for using the cards that go beyond just reading with them. My readings with the deck have also been accurate and insightful." "A friend picked 3 cards from your oracle deck - they were amazingly accurate and inspirational! Every time I use the deck the clarity is just amazing! Thank you for creating this!" "I feel like my cards have become my only friends. And I'm really good with that. But these cards are more like family. I Love them so much. And I Love you for making them. Thank you, thank you, thank you." "I felt a nice warm glow and an instant connection with the cards. I feel some of the images are out of this world. The images are amazing. I really felt inspired. I am looking forward to using the cards. I have an obsession for Tarot and Oracle cards and I am always looking for something unusual and different. Cards that grab my attention. Magical Dimensions Oracle did that." "I've barely been with the cards for two hours, and yet I can actually feel our multi-dimensional family more closely in a sense, if that makes sense? Aha, it's awesome, truly, and I'm just over-flowing with joy and gratitude right now, so sincerely, thank you! The cards and the powerful energies they carry feel... familiar...wonderfully so, and they also remind me that we are playing in a grand illusion, one that we are here to transmute and transform with Love and the Infinite Consciousness thereof, for the Highest Good and most Abundant and Delightful outcome of All. I'm very much looking forward to continuing to work with the insight and magic of the Magical Dimension deck. With Eternal Appreciation and Aloha." "As an Ascension Pioneer and guide, I love to gather many different oracles and use them in my Divination work and Spirit readings. 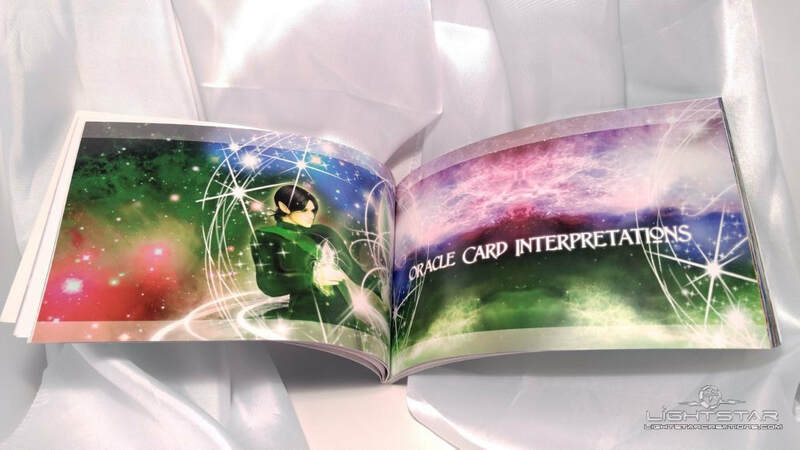 Magical dimensions oracle cards are a very powerful deck cards that help to unlock one's multidimensionality, and although they are digital art based, they truly emanate Ascension energies, which is quite rare to experience with most digital decks. These cards truly make Ascension magical and fun, and simply draw one to use them in a very organic way! Truly a wonderful experience for an initiate of Light!" 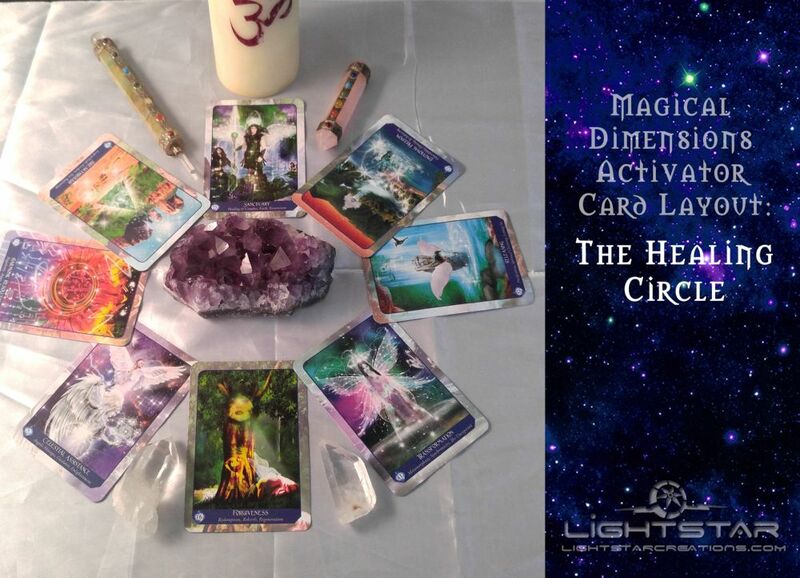 "This is a review of the Magical Dimensions Oracle deck created by Lightstar. I have a number of oracle decks and usually there are two or three images I don’t resonate with in a deck but I honestly love every single one of these 44 cards. I appreciate the vivid colours and beautifully detailed images, which are ideal for stirring your intuition and innermost magickal aspect. 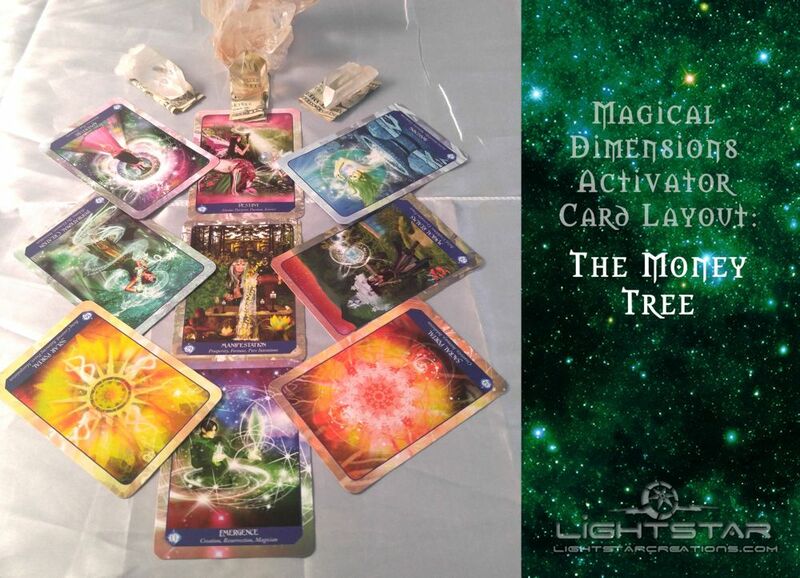 Using this deck evokes a magical experience and looking at the artwork does feel like it’s transported you into the angelic, elemental or galactic dimensions..." Read the full blog post review of the Magical Dimensions Oracle deck... INCLUDING video on Stella Seaspirit's blog. This awesome and super high quality box will be the ideal way to keep your cards and the guidebook safe and sound! Made of heavy-duty and very durable chipboard. Open the box with a magical purple ribbon tab and behold the enchanting materials inside. Two purple ribbons expand on the inside to create a lovely upscale look and feel! ​Inside the box you'll find the contents of the full guidebook and underneath, the 44 cards in a protective tray to store all the magic. ​The cards are just bursting with vivid color. All the cards have one main title and 3 additional sub-descriptive words of guidance that will help you with the interpretations. The deck emanates the energies from multiple dimensions of the Angelic, Elemental, and Galactic realms. ​These 44 enchanting cards are all based on Lightstar's Visual Attunement Art Images, and the powerful image on the backside of each card will give you a "butterfly transformation" activation whenever you look at them. The cards are a very thick paper stock with a super high glossy laminate-like finish to keep your cards in ideal condition for years to come. Along with the unique spreads and activators, the comprehensive guidebook includes an overview of the main energies of the deck and full card interpretations with suggested companion crystals and essential oils. You'll also find some great suggestions on other ways to utilize the cards as well. 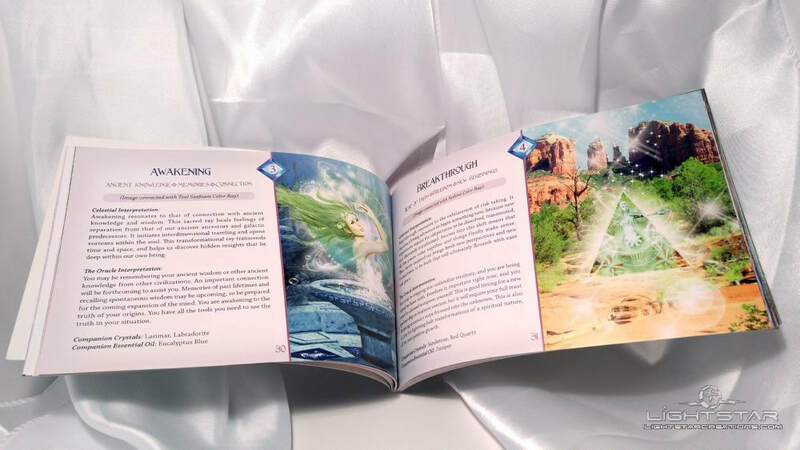 ​The guidebook will show you how to use the Magical Dimensions Cards for Oracle Card Readings, as well as how to use them as Activator Cards. There is a very special and unique Divine Light Code printed on the top inside lid of the box. This sacred symbol serves to keep the cards clean while they are stored in the box. As a suggestion, you can also store your deck in a velvet bag, but the cleansing symbol helps flush out the cards, if they've accumulated any lower or negative vibrations, after each use. ​​This activator is specifically meant for those who wish to improve existing relationships and overcome challenges, or to draw forth your soul mate or soul family. It is beneficial for relationships on all levels, be it soul mate, father-son, mother-daughter, friendships, children, business partnerships, and relationships with your animal friends, or your connection with Gaia. ​​This activator is perfect for healing of all kinds whether it be physical, emotional, spiritual, or mental. It can be for self-healing, or for another person. This activator is very potent. ​​This activator is ideal for manifesting money, prosperity, and abundance. Use this activator to attract a waterfall of abundance in many aspects for yourself and others, that will flourish and grow with love and purity. INTERNATIONAL ​DUTIES/TAXES: International Import duties, taxes, and charges aren’t included in the item price or postage cost. These charges are the buyers responsibility. We are not responsible for delays due to customs. For additional decks, or wholesale options, please contact Lightstar. ​Thank you for supporting the Artist! Lots of people love to buy on Etsy...so you'll find this deck over there as well! 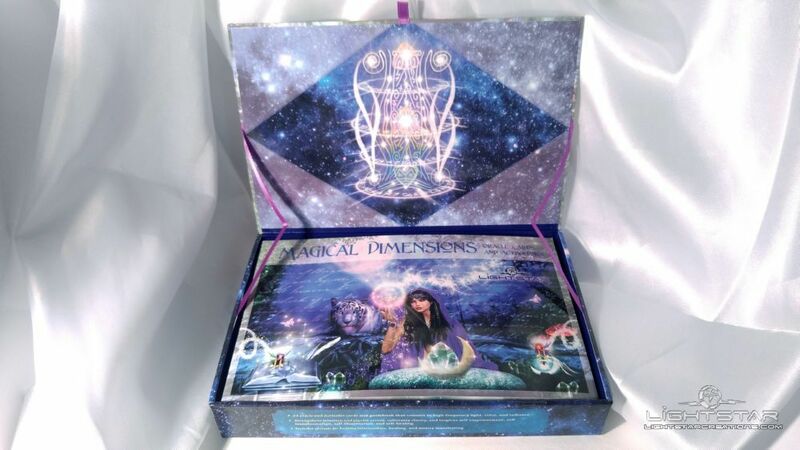 Get the Magical Dimensions Oracle Deck for Your Shop! ​You're Gonna Want These Magical Beauties for Your Customers! If you wish to buy the deck for your bookstore, metaphysical, or gift shop, we have options for you to purchase at wholesale prices. ​Please contact Lightstar directly for more information, and be sure to include your location and desired quantities so we can better assist you.